Buthina Canaan Khoury, a news camerawoman and documentary filmmaker, is embarking on the first film of the first film co-production agreement between the governments of the United Kingdom and Palestine to co-produce with a British film producer her first fiction film, Green Almonds, telling the story of a family returning home to Palestine. 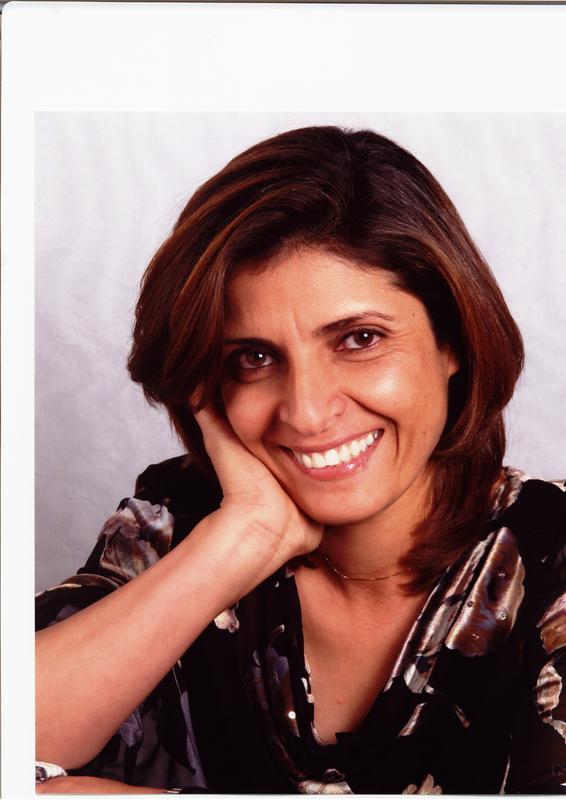 Khoury founded her Majd Production Company in Ramallah over a decade ago. Her documentary films have captured the secrets, the untold stories from so many and even light moments of entrepreneurial success. Women in Struggle tells the story of four women ex-political detainees who had stepped onto a political platform joining thousands detained in Israeli prisons. Who were these women – mothers, sisters, daughters and wives – who risked the security of one role in society in the family and home for the insecurity of another role in society seeking independence and freedom from occupation? Khoury gives voice to these women and received numerous awards from San Diego Film Festival, the American Muslim Womens Association, Allsmalia Film Festival in Egypt and the Kazan Film Festival for Muslim Countries for Documentary Films. Khoury swings the camera around to reveal the injustice of strong women fighting for political rights and then yet suffer at the hands of their own family through honor killings in Maria’s Grotto receiving awards from film festivals in India, Dubai and Roterdam. Every storm, every night has a day with light. Laughter cuts through the layers of human suffering to reveal a resilience, a sense of hope in Taste the Revolution (watch the film), which was screened in Spain and Munich. The ‘best beer in the world’ founded by Khoury’s brothers who left the United States to invest and establish the first Palestinian beer company, the Taybeh brewery. The Taste of the Revolution is a light hearted film of the contractions in society and the entrepreneurial spirit. Khoury attributes her passion for creating films to her parents. She recalls family stories when her father owned a movie theater in Jordan before 1967 and how her mother enjoyed going to the theater. Khoury recalls at the age of six going with her mother to the theater to watch Suoad Hosny one of the most popular leading ladies in Egyptian films. Many years later driven by a passion to create better films than what she saw locally produced and desperate to address some of the harsh realities, Khoury sought to study film. Not able to study locally or in Egypt, Khoury followed her brothers to the U.S. Khoury completed a six year program in four years at Massachusetts College of Fine Arts in Boston and later became a news camera woman for European news broadcasters. Striking out on her own again, this time Khoury is telling Palestinian stories on a larger world stage through fiction. Khoury says that filmmaking is a long long dream coming true now. It is good to have a dream and try to accomplish it. Better than to live this life without anything. Does the Oscar nominated 5 Broken Cameras by Palestinian filmmaker Emad Burnat open doors to a larger platform for other Palestinian filmmakers? Perhaps. Khoury is certainly offering powerful insightful views into the lives of Palestinians. Tags: Bhutina Khoury, Boston, documentary filmmaker, Egyptian films, entertainment, Green Almonds, honor killing, human-rights, Jordan, Maria's Grotto, Massachusetts College of Fine Arts, media, middle-east, muslim womens, Palestine, Politics, Soad Hosny, Suoad Hosny, Taste of the Revolution, Taybeh beer, Taybeh Brewery, Women in Struggle. Bookmark the permalink.